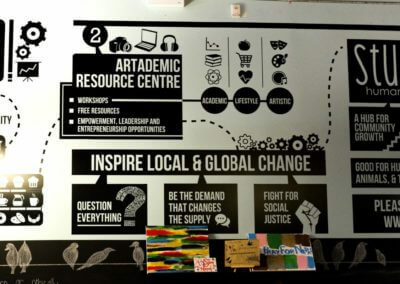 Part fair trade café and part youth “artademic” resource center. 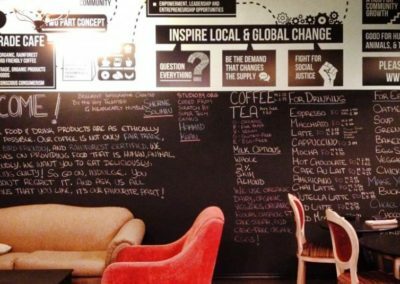 Studio.89 is a non-profit community hub and fair trade cafe providing a safe, free space for events, workshops and resources. 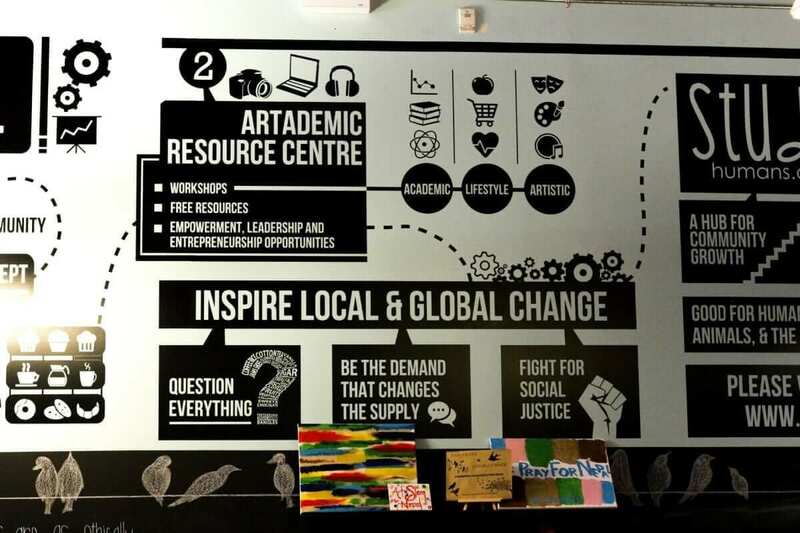 Studio.89 encourages arts, culture, activism, empowerment, and conscious consumerism with a specific focus on youth leadership, employment, and volunteerism. We aim to benefit humans, animals, and the planet and are empowering our community to act locally, think globally for a sustainable future. 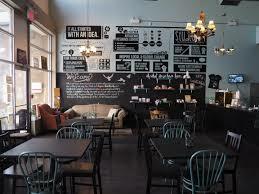 Studio.89 is a social enterprise café and the revenue generating arm of YTGA, Youth Troopers for Global Awareness. YTGA aims to empower and mobilize youth to speak and act on social justice issues using the arts as a platform for advocacy. 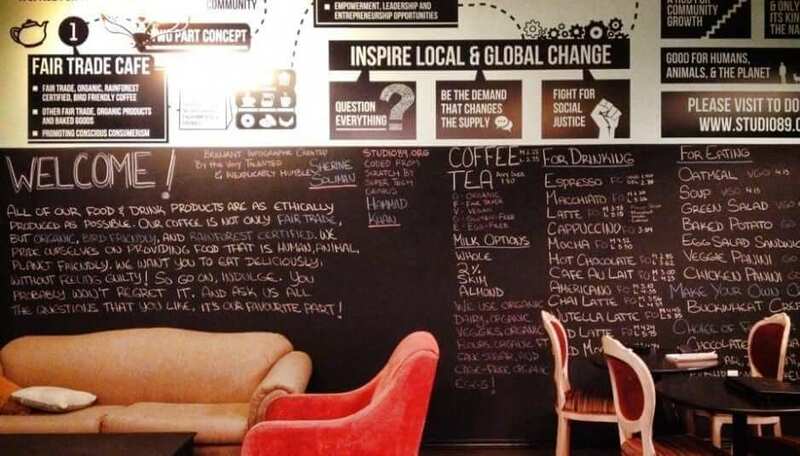 Studio.89’s vision is to be all sorts of awesome by providing fair trade, organic, bird-friendly, and rain forest certified coffee along with other ethical and yummy treats and products, the sale of which support community programming. We aim to benefit humans, animals, and the planet in all that we do.